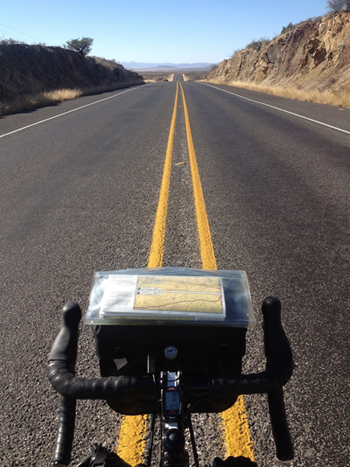 In November 2012 Cat Gerrard began a journey across America, by bicycle. She soon learned that 2767 miles is not just a journey on a map: it’s a journey into our own depths. Travelling across swamp and desert, stretched out and blown about by forces outside and in, she discovered how to stay still at full tilt. 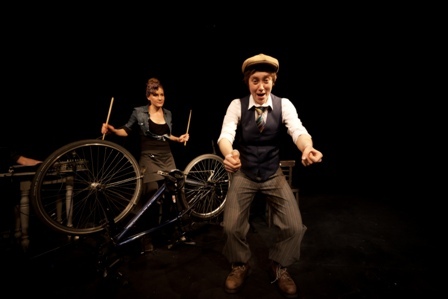 Join Cat and cyclist and percussionist Belinda Sherlock as they interclash and rhythmically mash storytelling and percussion, using only their voices, bodies and bicycles. "Cat Gerrard has taken the art of the personal narrative to a new dimension in Cycles of the Southern Wild, it is woven cleverly into fragments of myth and folklore; Gerrard steps gracefully between them all. Her touch is light and her presence is captivating. She invites us as audience to go with her, and it is easy to say yes".